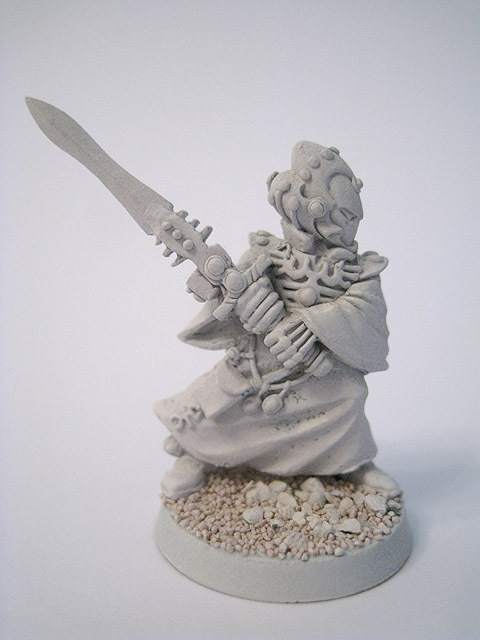 These Warlocks are armed with standard witchblades. I have converted several of them; mostly replacing some of the outdated design aspects. 1. 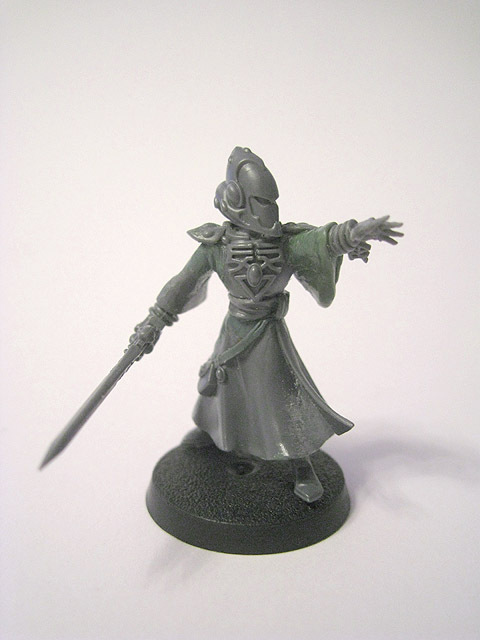 This Warlock has been assembled without any modification. 2. The second Warlock has had a fur cloak added. 3. 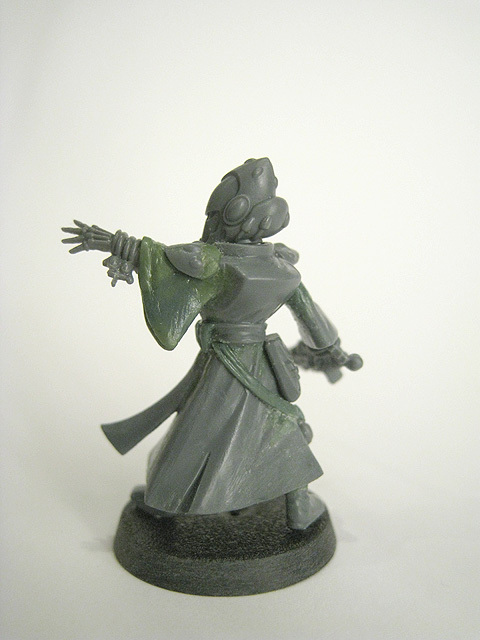 A view of the cloak from the back. 4. 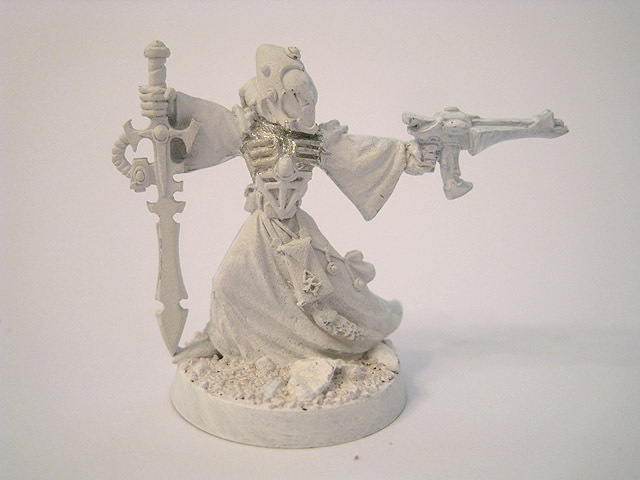 This third Warlock has been given a shuriken pistol and a fur cloak. 5. 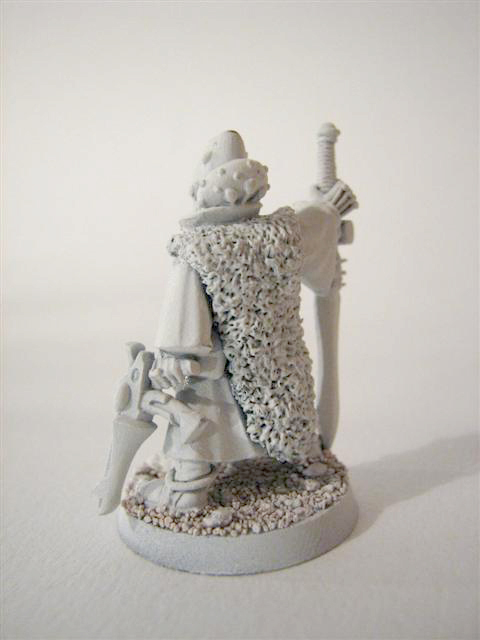 The fur cloak from the back. 6. 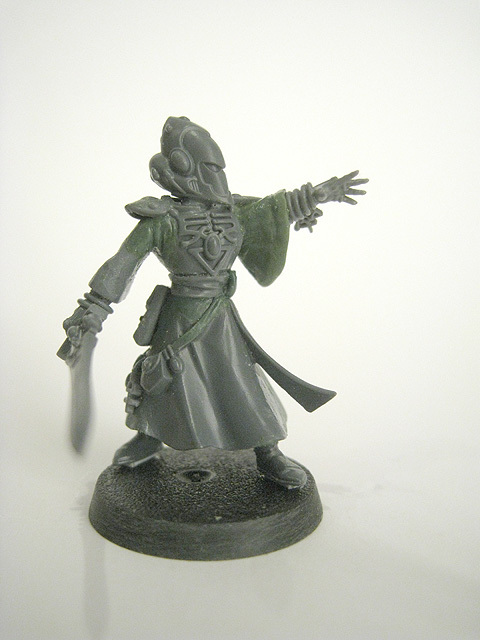 My fourth Warlock is basically a kit-bash of two different models, creating a more dynamic pose. 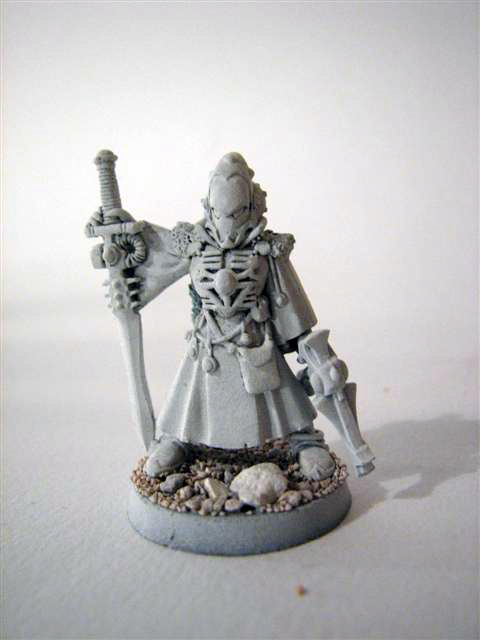 This is my favourite Warlock conversion to date. 7. 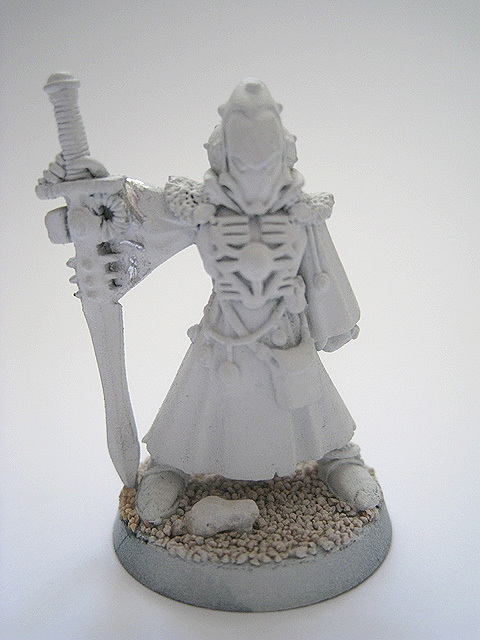 The upper body is from one model, with the legs from a different Warlock armed with a singing spear, which has been carefully cut away. 8. I used Green Stuff to mask the join and to sculpt a belt, pouches and holstered pistol. 9. 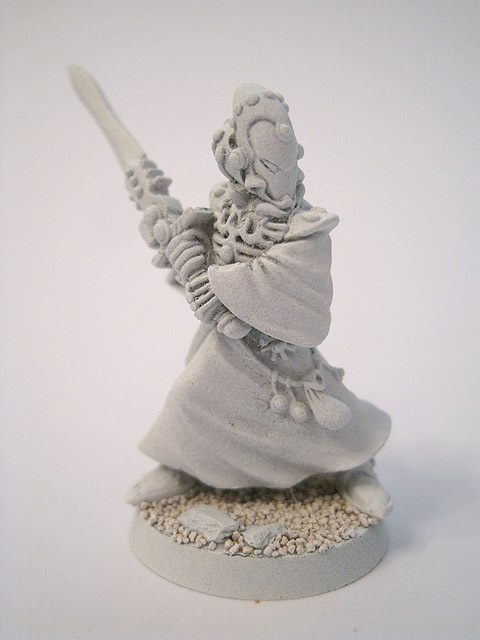 The fourth Warlock, undercoated. 10. 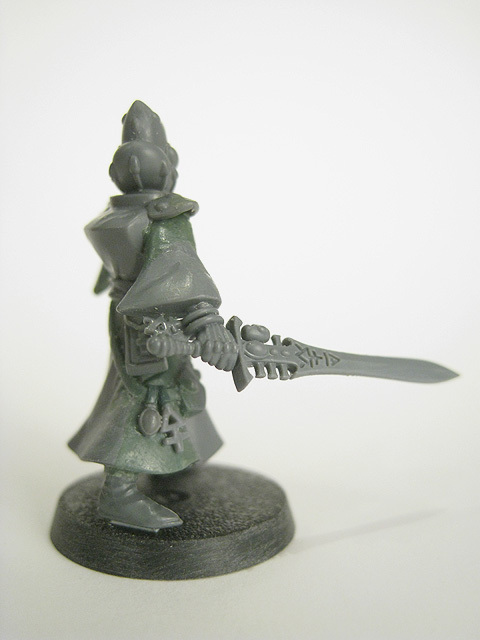 The fifth Warlock has had his crest removed from his helmet and his shuriken pistol updated. 11. 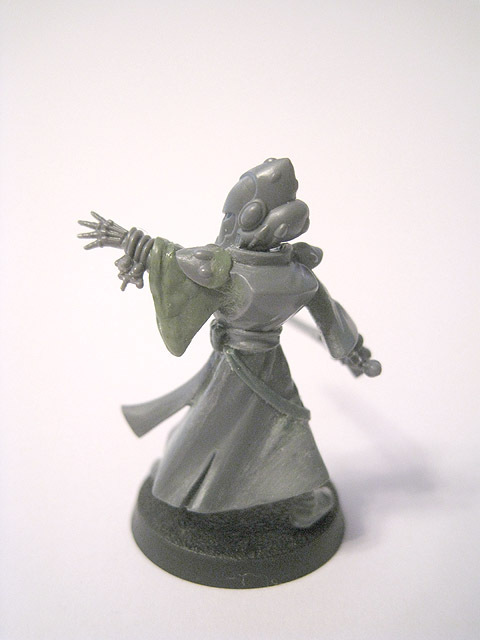 The sixth Warlock was assembled without alteration. 12. 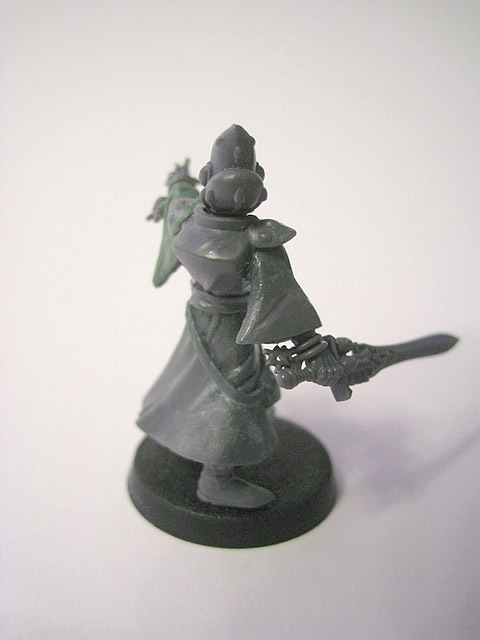 The seventh Warlock has had his shuriken pistol updated using a plastic one. 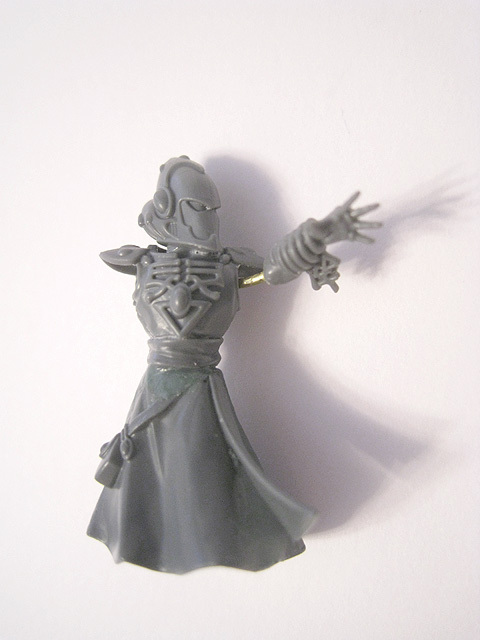 This outstretched hand and forearm came from the plastic Farseer kit. 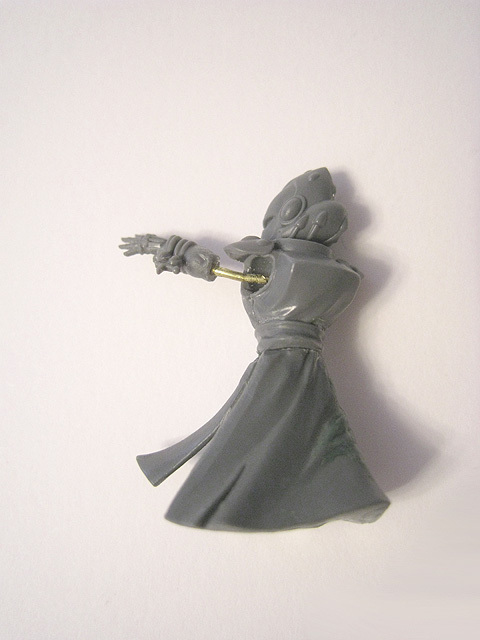 The head and torso are from the Warlock Skyrunner kit. 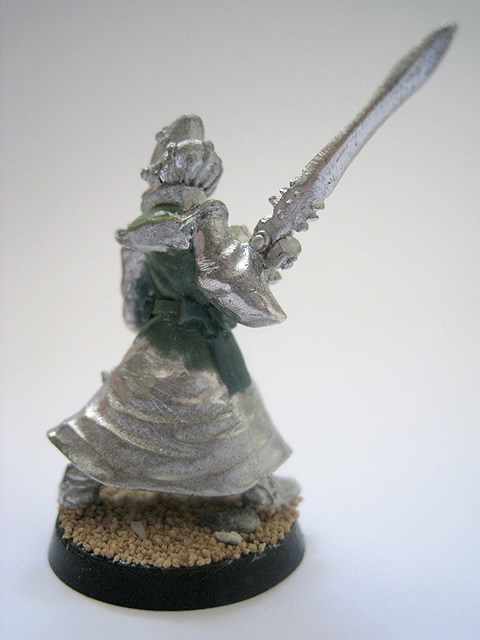 The lower body is from the plastic Farseer kit. 13. 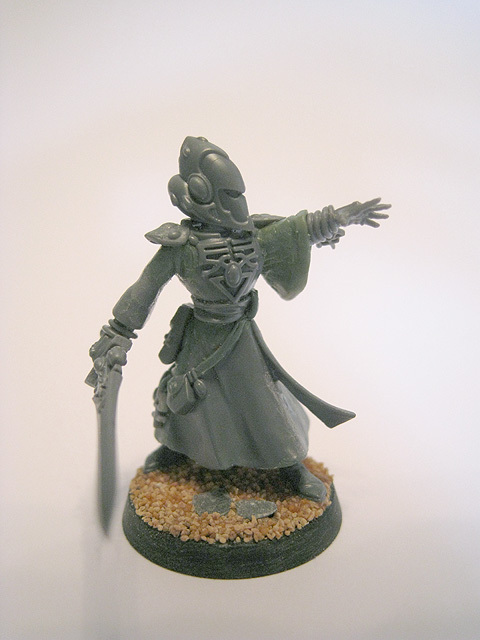 For my eighth Warlock, I used plastic components from the Warlock Skyrunner and Farseer kits. 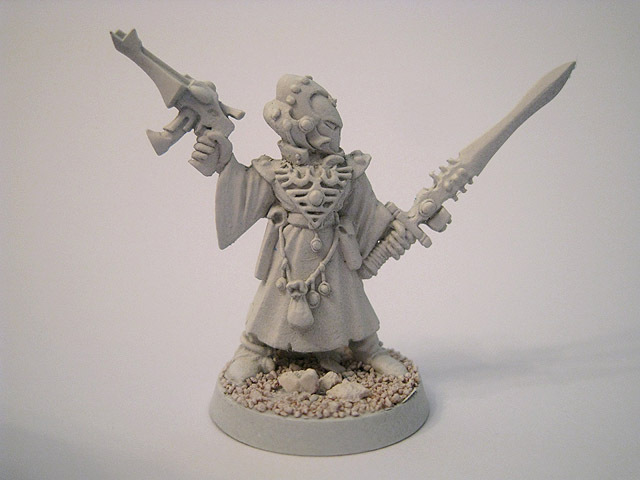 The back half of the robes were cut down to blend with the front half - Farseers typically wear a cloak over their robes, whereas Warlocks do not. 14. Rear view of the conversion. 15. 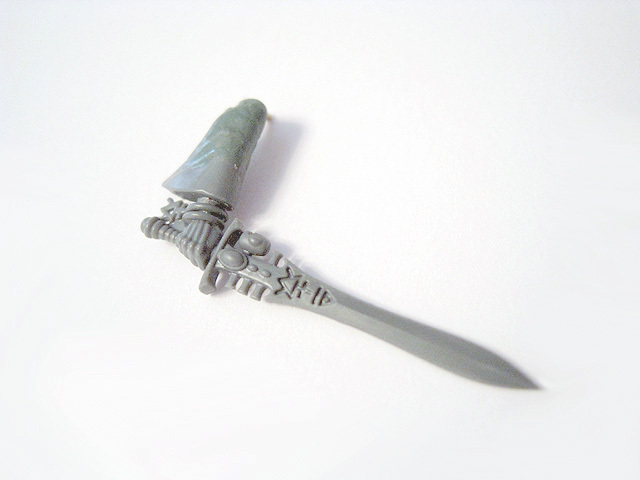 The Witchblade arm came from the Warlock Skyrunner kit. It has been pinned with brass rod to securely attach it to the body. 16. The conversion is now fully assembled and virtually complete. 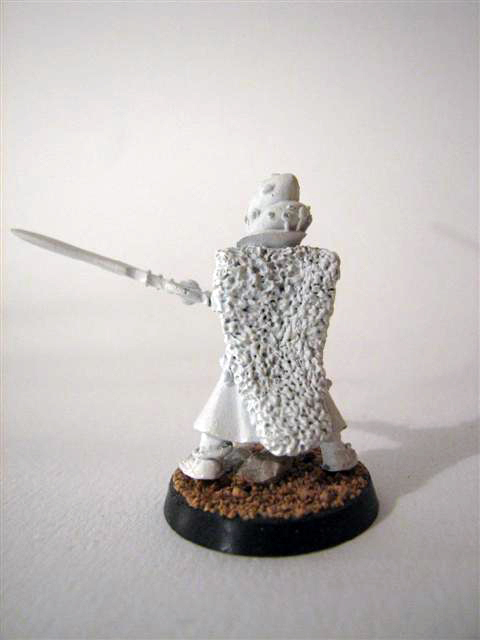 The left shoulder pauldron was removed and repositioned to sit more naturally on the raised arm. This strap was modelled using Green Stuff. 17. Updated rear view of the conversion. 18. Side view of the conversion. 19. 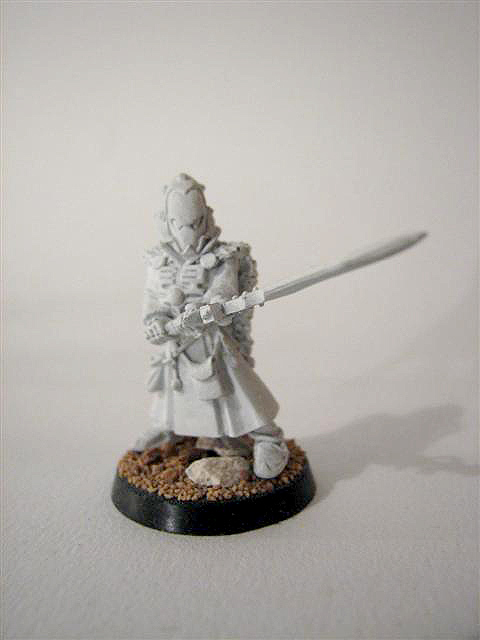 The conversion is now complete and ready to be based. 20. The gem and rune came from Dire Avenger shuriken catapults, whilst the pouch was from the High Elf Phoenix Guard kit. 21. Rear view of the completed conversion. 22. 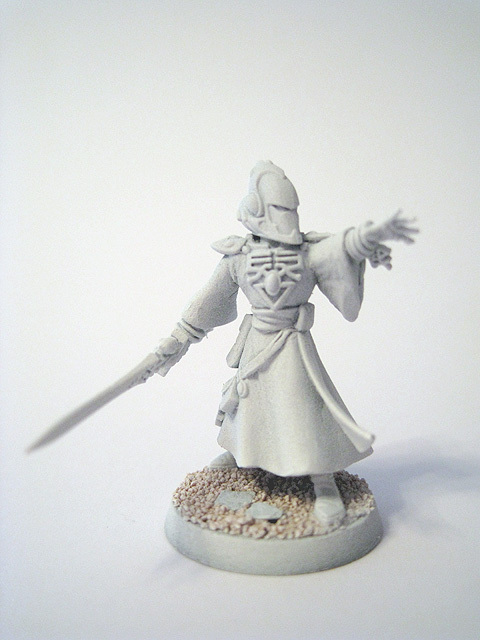 The conversion has now been based, ready for undercoating. 23. 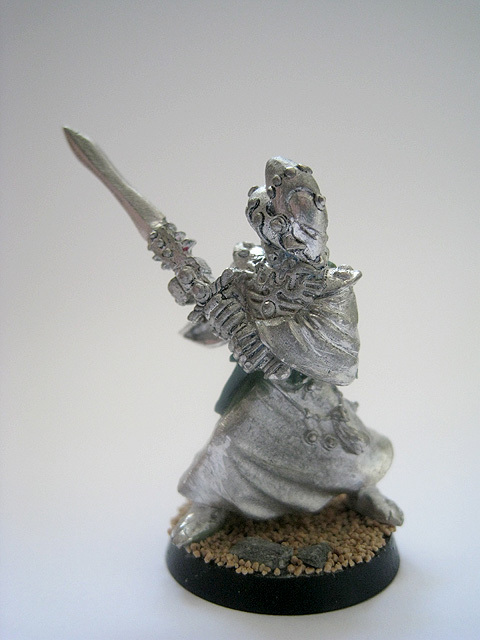 The conversion, after being undercoated.